In particular I was looking for a suitable dishwasher detergent as we had never owned a dishwasher before and I really didn't know where to start. I read some of the ingredients of the supermarket standard dishwasher detergents, even the supposedly "eco"/earth-friendly brands, and I was not impressed with the chemicals. Fortunately KinKin makes a lovely dishwasher detergent Kin Kin Naturals Dishwasher Powder (I also use their Kin Kin Naturals Dishwasher Powder, it smells wonderful, makes washing up more pleasant). Rinse aid is really just to help dry the dishes properly, white vinegar is working for us and is a cheaper chemical-free option. You can also try making your own dishwashing detergent from baking soda (or washing soda), citric acid and salt, and tailor it to match your water - as we are using rainwater we don't actually need the extra salt, for hardwater you might add more again. I haven't made any yet, but this is the recipe that I intend to try, mainly because I want to have a back-up in case I forget to order from Biome and run out of the KinKin product. Even with the dishdrawer, we still handwash our pots and pans and rinse some dishes before loading the dishdrawer (as we only need to run it once a day or less). Biome sent me Ecologic Dishwashing Liquid to compare to the KinKin brand that I usually use, and I like it just as much, with a lavender essential oil, it also smells lovely. And they sent me a wooden brush, which has been a suprising success - I usually get really dry skin from washing dishes and have to wear gloves, but with this brush you hardly need to put your hands in the water, so I haven't had to wear gloves at all. I'm feeling really good about this as I hadn't found any biodegradable gloves and I hated going through all those plastic gloves (they only last so long before they start leaking!). The long handled Ecostore Dish Scrubber Brush and the Pot scrubbing brush are handy, I also like the biodegradable Safix Coco Fibre Pad. 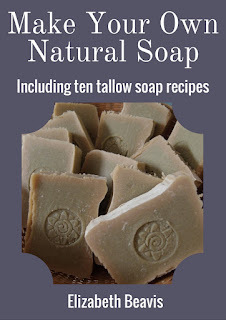 I also use homemade tallow soap in a soap shaker - this works great for rainwater, but not for hard-water, as I found out when I stayed in Brisbane. Its gets most things clean and I can save the dishwashing liquid for cleaning up greasy dishes. You can now buy my cleaning soap in my Etsy store with my other soaps, the recipe for the cleaning soap is also back here. I just started using Enjo cloths for dishwashing (anything the brush won't remove) and wiping benches etc, they are great and no chemicals required. Biome also have a range of Microfibre cloths, which as very similar to the Enjo cloths. 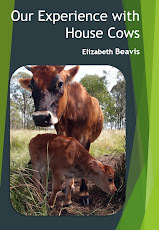 I also asked for a toilet cleaner as we have had issues with our previous septic tank and I was having trouble finding something that was truly septic friendly. This Ecologica toilet cleaner seems to do the job without any nasty chemicals, and it smells lovely. I chose a toilet with a very plain profile, I used to hate cleaning the pipe at the back, but this one has a everything hidden in the pedestal, so there is nowhere for dust to gather. Read more about our bathroom design here. If you have a septic, you can also get tablets with good bacteria to keep your septic healthy, we use these ones. (soap nuts) on any loads that are not dirty work clothes (love that they can be composted). 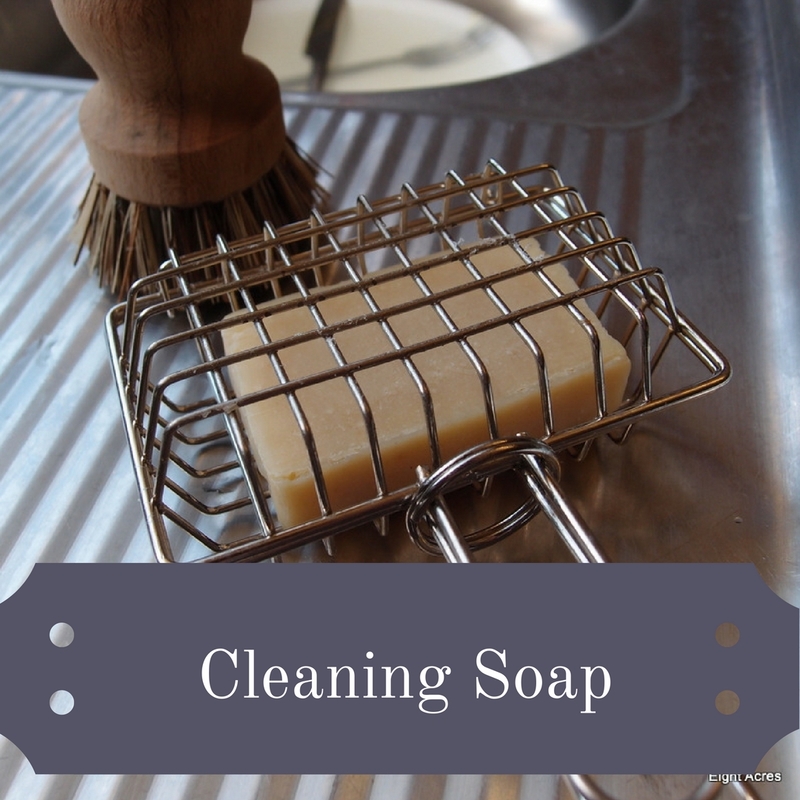 Read more about how I use soap nuts here. I use KinKin too, and use a container of citric acid (bought from the baking ailse of the supermarket) left over night in the toilet, and scrub all stains away at the bottom, the next day. Although you won't have problematic toilet stains for a while, in your new bathroom.